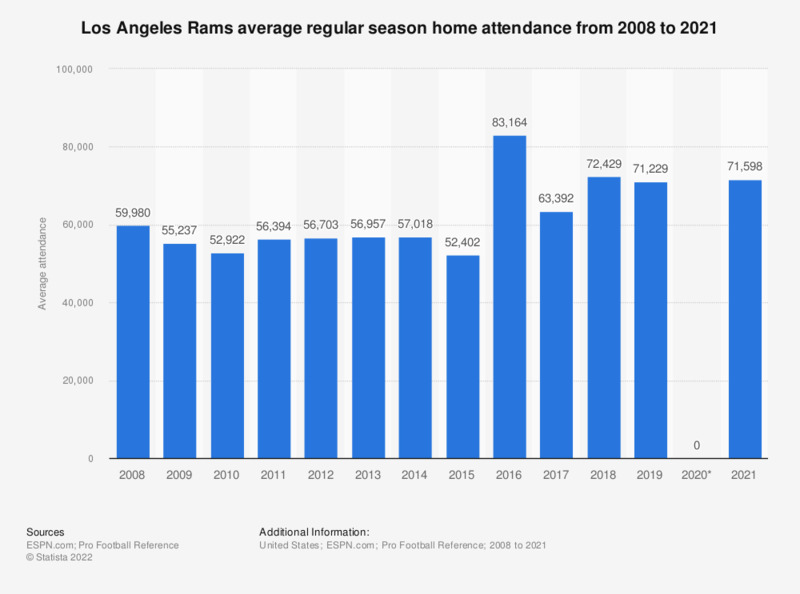 This graph depicts the average regular season home attendance of the St. Louis / Los Angeles Rams from 2008 to 2018. In 2018, the average attendance at home games of the Los Angeles Rams was 72,429. The franchise moved to Los Angeles before the 2016 season. Everything On "Los Angeles Rams" in One Document: Edited and Divided into Handy Chapters. Including Detailed References. Statistics on "Los Angeles Rams"